If you are looking for a smart projector, a portable and compact projector or a projector to create a home theater experience look no further. We have the 'Best Projectors For You' from all over the world. 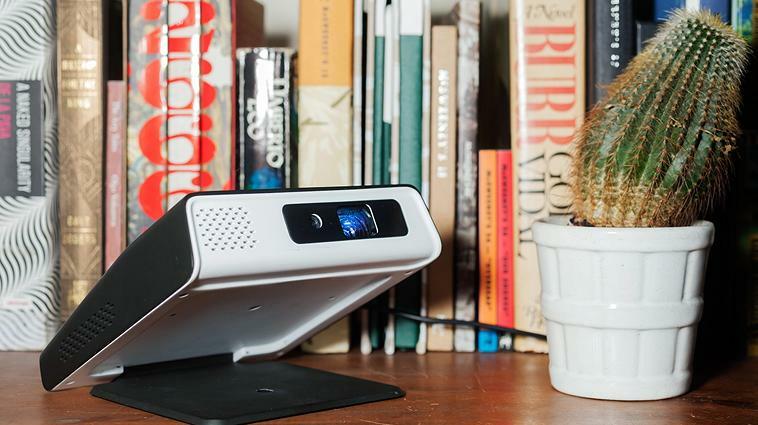 Cinemood: Cinemood is a mini-projector that comes preloaded with cartoons, audio stories, digital books, lullabies handshadow puppet show tutorials and more with subscription. It features parent-curated content, its safe for kid's eyes, no blue light and you can connect an external USB drive with the OTG cable and enjoy your favorite movies too. It's small and portable, and supports iOS/Android devices. Buy Now: $399 . JmGO View Projector: JmGO View is a smart portable projector that runs on Android 4.4.4 OS. It comes equipped with two 4-watt Bluetooth speakers with DTS 2.0 and Dolby Digital Plus for quality sound. It features Texas Instruments optical technology, topped with cinema quality projection. 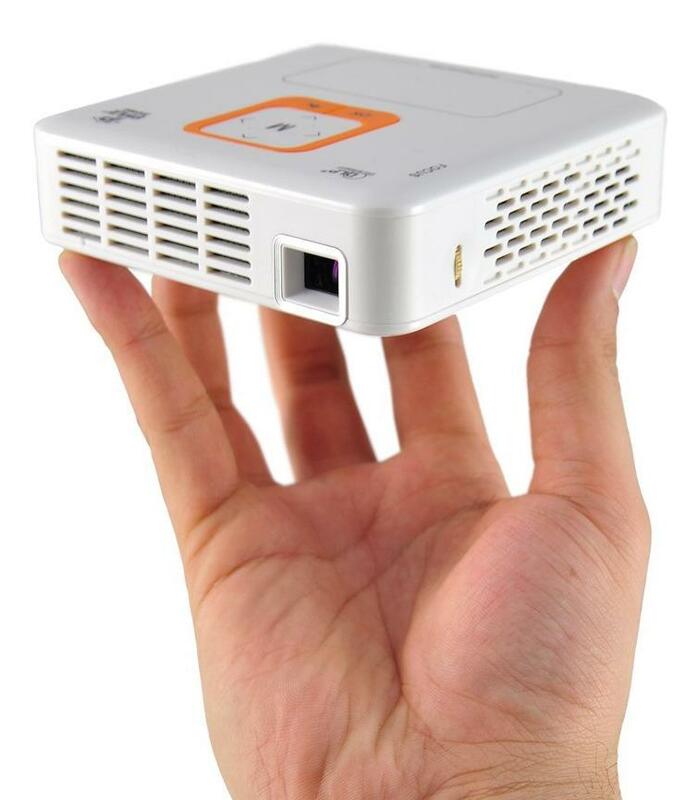 It can project sizes for up to 180"3D movies, supports Miracast, Happycast, Wi-fi, Bluetooth, USB Port, and HDMI. Its compatible with Android / iOS and its 15600mAh lasts up to 3 hours in full power mode. More info. 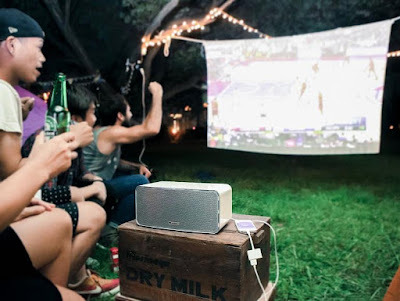 Dashbon Flicks: Dashbon Flicks is a Bluetooth enabled boombox and a video projector that provides 4 hours of movie playtime or up to 28 hours of Bluetooth music playback without a power cord. It features Texas Instrument DLP hardware to project images in 720p HD. It streams wirelessly using TV sticks - Roku, Chromecast, and more. You can watch movies via HDMI. It features Bluetooth Hi-Fi speaker with dual full-range drivers and subwoofer. Buy Now: $599. Pyle Smart Mini Projector: The Pyle Smart Mini Projector comes with a built-in Android PC, Bluetooth connectivity, Wi-Fi access, Full HD 1080p, speakers and more. It features integrated mouse pad, built-in rechargeablebatteries, USB drive and micro card readers and Android system 4.4 (KitKat) OS. It can project sizes for up to 120" to create a home theater experience and works with iPhone, Android, Smartphone, iPad, PC and more. Its compact, lightweight and portable, can be placed comfortably in your pocket and taken along anywhere. Buy Now: $299.99. 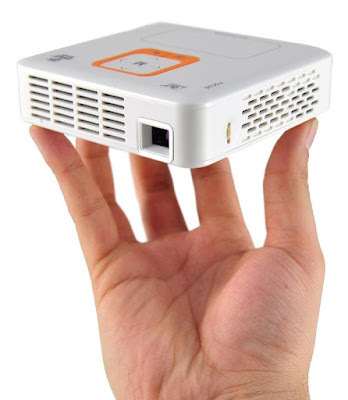 Lazertouch Mini Projector: Lazertouch Mini Projector is a mini interactive projector that projects up to 150-inch-diagonal screen, and comes with Android system that can work as a smart device. It features lasertouch, Wi-Fi, Bluetooth, 13600mAh, 32G storage, and speakers. 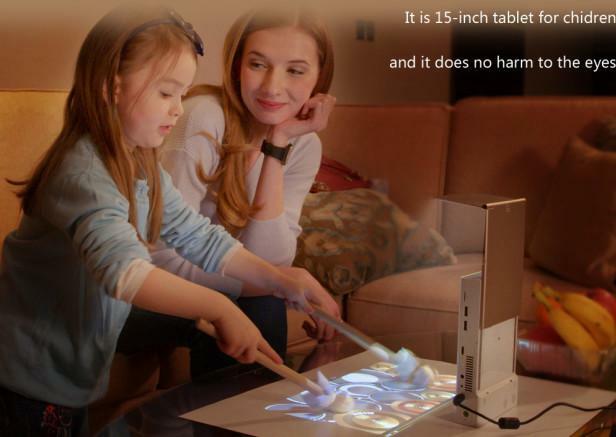 It can turn any surface into fingertouch screen. More info. Beam: Beam is a smart projector that can be fixed into any light socket and it turns any flat surface into a big screen. It assists you in your daily activities, and can be controlled with your smartphone. Its app is compatible with your Android and iOS smart devices and it supports IFTTT. Buy Now: About $531 (€499). Smartphone Pocket Projector: The Smartphone Pocket Projector is a pocket-sized device that you can take along anywhere. This pocket-sized projector turns your iPhone, Android smartphone, or iPad into a personal presentation platform. 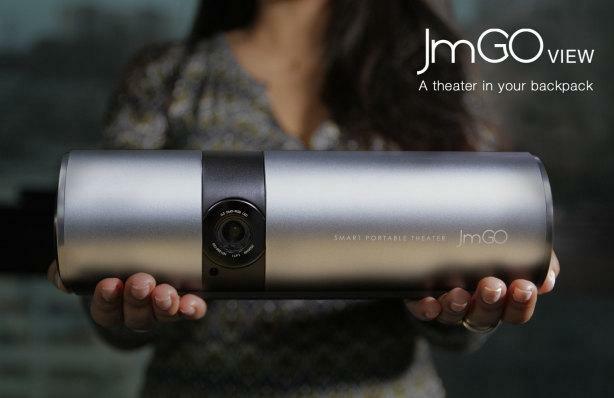 Its tiny optical engine inside this projector mirrors the screen of your device. It also connects to your desktop computers, BluRay players, or any device with video output through the included mini HDMI port. It also supports output from a USB drive or microSD card. It lasts up to 120 minutes on a full recharge. Buy Now: $269.95. 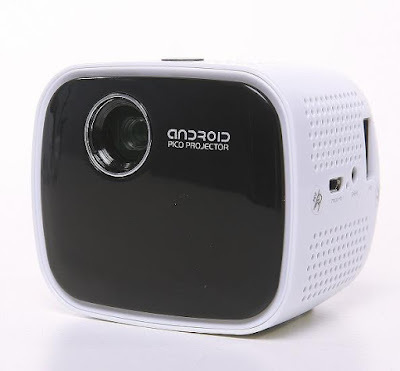 iCODIS CB-100 Projector: The CB-100 Projector runs on Android, streams videos, films, TV shows, and more from your smart phone and smart devices. It features 4000 mAh that gives you 150 minutes of playtime with a single recharge. Its light weight, and built into Full-HD Android 4.2 Jelly Bean OS. Buy Now: $245. Sony Portable HD Mobile Projector: The Sony MP-CL1 is a compact HD projector that lets you view your favorite content anywhere. 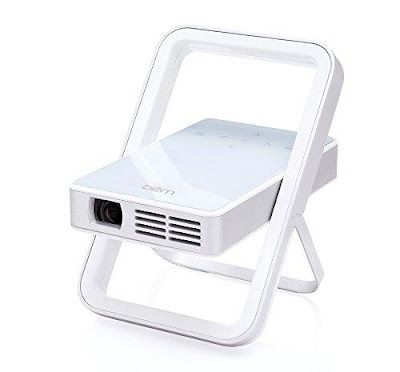 It features Wi-Fi, HDMI or MHL connectivity; connect the projector to Android devices via Wi-Fi using the screen-mirroring feature or use a HDMI cable to connect it to your notebook and more. It also features an audiojack for enhanced listening, comes with built-in 3400mAh that can also juice up your mobile devices. Its compact size makes it easy to be placed inside your purse or jacket pocket. Buy Now: $499. 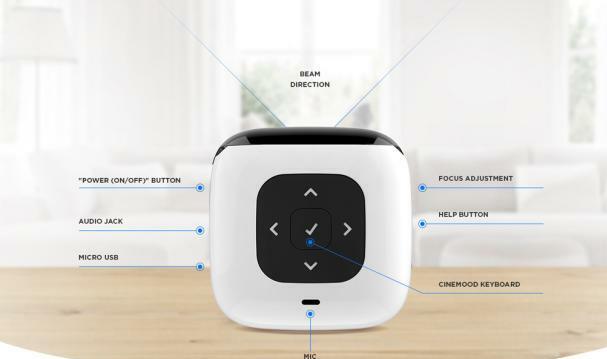 Odintwo: It's a sophisticated and intuitive android smart projector that combines the big picture experience of a projector with the smart and convenient functions of an Android smart device. It lets you stream movies from HBO Now, Netflix or Hulu, mirror your iPhone and Android phone screens, make video calls using Skype or Google Hangouts, surf the web on Chrome or Firefox, stream music on Spotify, Pandora, and more. 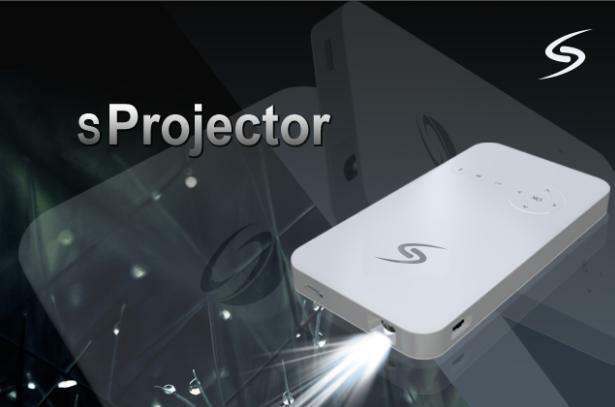 Pre-order: $ 525.
sProjector: sProjector is a mini projector that provides 1920x1080/1000 lumens projection and lets you enjoy TV shows, 4K movies and more on screens up to 180". 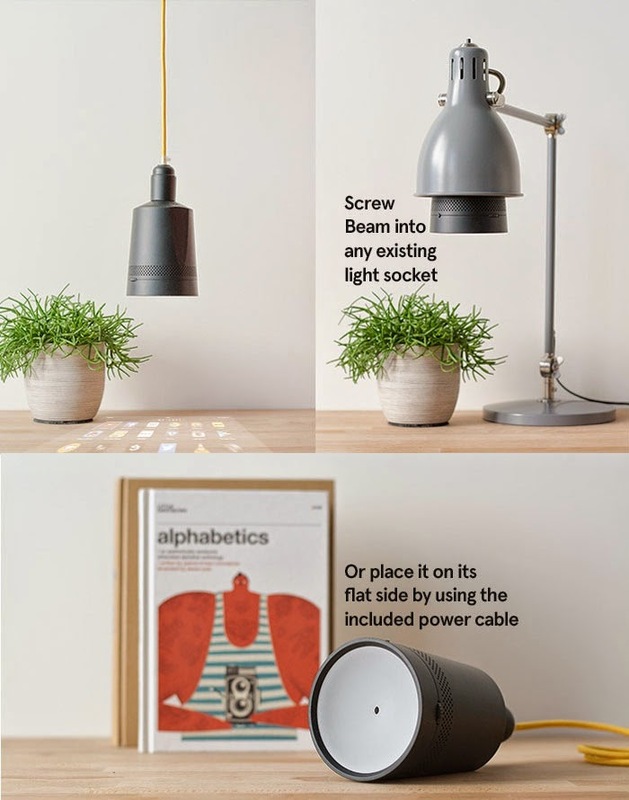 It's lightweight, sleek, and uses an energy-efficient design. 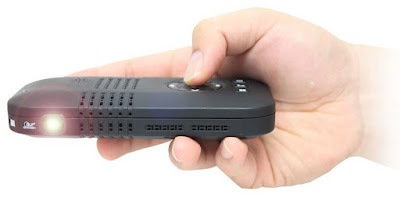 It supports TV Dongle, and you can enjoy TV anytime, anywhere even without Internet connection. You can even record TV programs to its memory or to SD card and other storage devices through microUSB port and can play it later. It lasts 5 hours of projection without external power supply. Buy Now: $190. 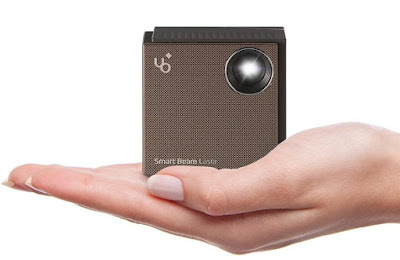 UO Smart Beamlaser: The UO Smart Beamlaser is a portable projector that connects with your smartphone, smart device, notebook, pc, media player or any other device to play video, audio, picture, presentations. It can project up to 150 inch HD screen, connects using Wi-Fi or wire and its 4,200mAh can last for up to 2 hours. Buy Now: $345. Bem Kickstand Projector: The Bem Kickstand Projector connects to your devices wirelessly (through Bluetooth or Wi-Fi) and via HDMI cable. It comes equipped with a 3,200 mAh and bright 300-lumen light. Setting up the projector is quite simple, its compact size makes it easy for you to place it in your pocket or purse. Buy Now: $366.04. Keychain Projector: The Brookstone Keychain Projector projects multimedia content from your iOS devices anywhere you want. 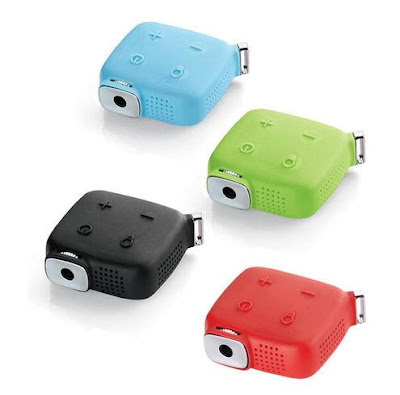 It works with Apple devices using an Apple Digital AV adapter, connects via Micro HDMI compatible port, features a 4:3 aspect ratio, manual focus and a built-in speaker. 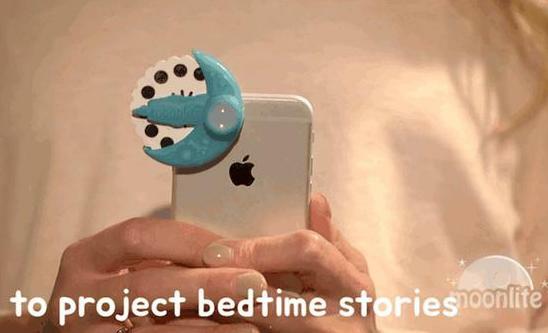 It also doubles as flashlight. It recharges via micro USB recharging cable. Buy Now: $69.99.